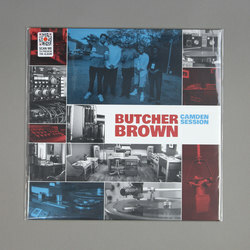 Butcher Brown - Camden Session. Vinyl LP. Bleep. The Butcher Brown boys have some serious chops - this five-piece can number Stones Throw’s DJ Harrison and Christian Scott’s drummer extraordinaire Corey Fonville among them. On Camden Sessions, a record cut live to disc at Mark Ronson’s famous Zelig Studios, the quintet cut loose and luxuriate in their sensuous alt-jazz style. A track like ‘Camden Square’, with its languid neo-soul beat and luxuriant harmonies, is as smooth as they come.